This unique soapless bar provides the dual benefits of cleansing and conditioning. Gently and thoroughly wash away impurities as skin is infused generously with moisture-enabling minerals. This healing soap can be used on the face or body. While I do not have psoriasis, my skin is very delicate and reacts badly to most soaps. 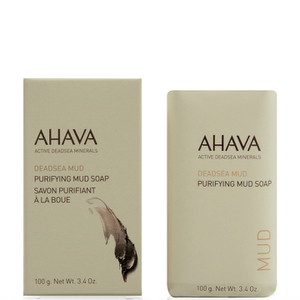 Ahava soap is the best one and I have used it for years, since discovering it at its source, the Dead Sea. Using it in the summertime helps prevent "buttne" and also maintains my beautiful complexion.HIGHLY RECOMMEND THIS SOAP!! Although others have commented on Ahava's Mud soap, and that is good too, this soap in my opinion is on the top of the list!The texture is so smooth and nice.It has the best smell ever! I really like this soap..a LOT! !